da Vinci Famara: Apartment, ground floor, with 2 bedrooms, approx. living space 60 m2, terrace, suitable for up to 6 persons. 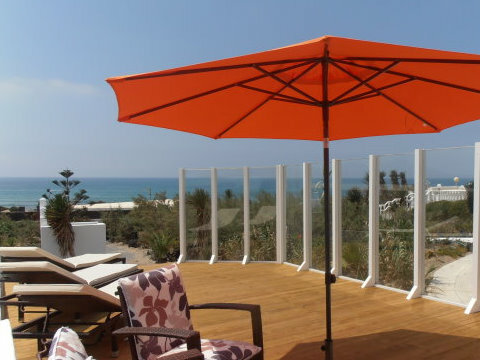 Specialties: Luxurious apartment directly on the beach, beach- and sea view. Beach with naturism area. Internet WLAN on request Price: from 81,00 eur/day.